A sweet treat no one can resist! A sensational marketing giveaway which is sure to be well received by all! 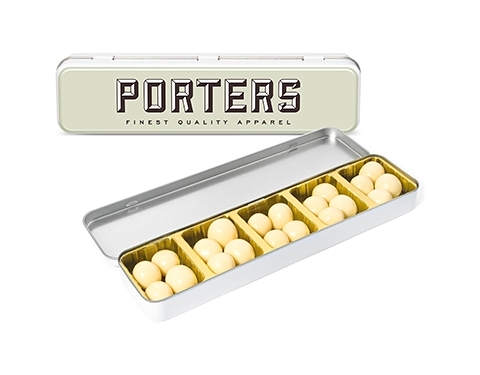 Each of these tins boast 45gms of sumptuous White Chocolate Malt Balls!